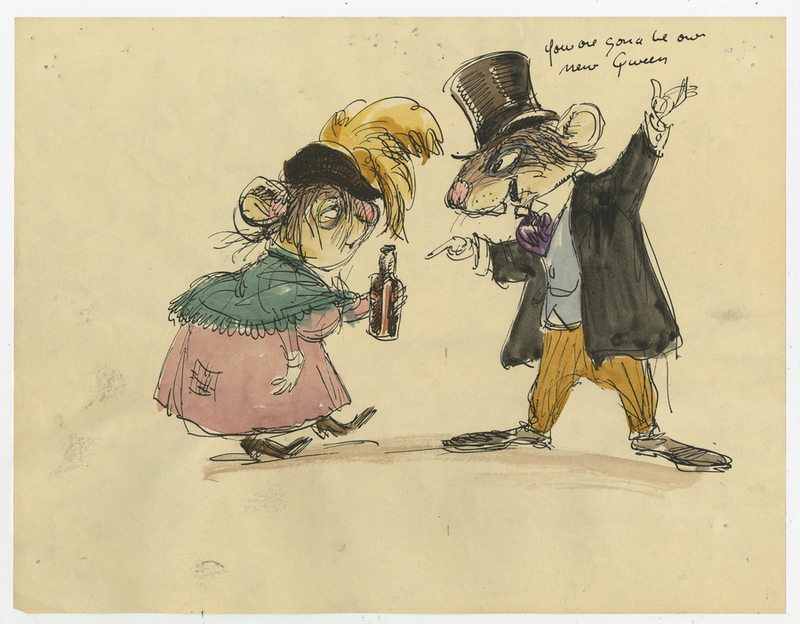 This is an original concept drawing from the Walt Disney Studios production of The Great Mouse Detective (1986). 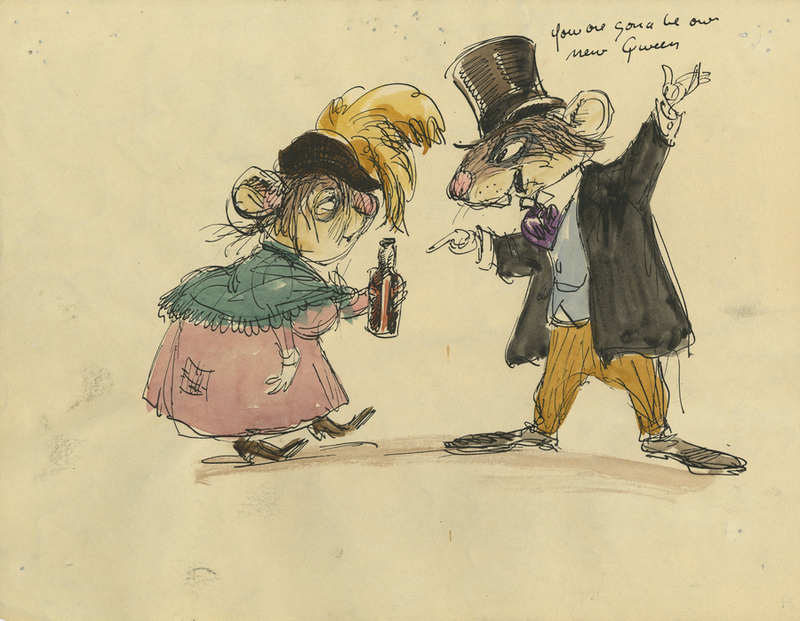 This drawing features Ratigan and was created at the studio by Disney Legend, Mel Shaw, and used during the development of the film. The overall measurements of the piece are 8.5" x 11" and the image itself measures 6" x 8.5". This piece is in excellent condition with some pinholes in the corners, as is usual for concept and story art.